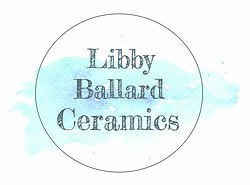 Libby Ballard Ceramics was founded by Ceramicist Libby Ballard in 2014. 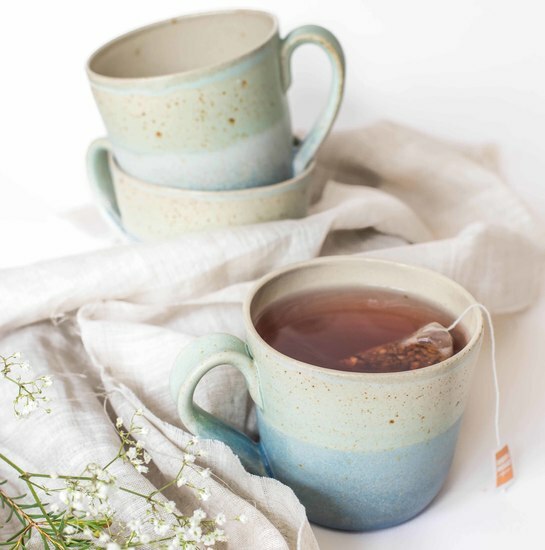 After graduating from Brighton University in 2013, I found my love for ceramics and the handmade craft. My inspiration comes from my upbringing on the Isle of Wight and my continual love for the outdoors and the coast. I love the colours and textures of the coast and try and recreate these through my products. Comfort in my products is so important to me and that each piece is comforting to use and my customers get enjoyment from using them all and experimenting with the food that goes into them. Each item goes through a loving and labour intensive process to get to the final piece. It starts from weighing out and wedging each ball of clay ready for throwing on the potters wheel. Then throwing the forms and leaving overnight to firm up. The next day each item is turned over and the base trimmed and stamped. They are then left to dry slowly over a few days and when fully dry go into first firing to 1000 degrees and slowly cooled which takes upto 48hours. I then mix up all my unique glazes to the desired colour and each piece is glazed by pouring and dipping the glazes. Each piece then has the glaze wiped from the base and cleaned up, ready for second firing to 1260 degrees and again slowly cooled taking another 48hours. When the kiln is cold enough the pieces are removed, the bases are sanded and they are ready to be packed up to their new homes. I love making and love that each piece is unique and will never be identical to another product.